According to orthodox believe only women have right to wear jewelry’s or they have an inclination toward jewelry items. However, even in the ancient times, we get strong evidence that men also appreciate wearing jewelry items, And, in this modern age where fashion has no gender and both men and women are kept on experimenting with something unique and distinct all times. So, now this never remains a question that whether men should wear jewelry or not. And, men too can graciously include jewelry items in their wardrobe. So, in today’s post, we will discuss types of ruby gemstone jewelry items a man can wear. 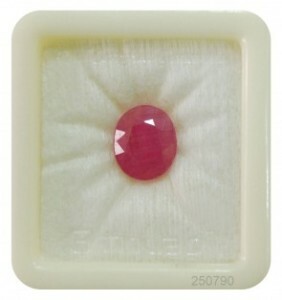 Let’s first talk about ruby gemstone. Ruby is a red color precious tone which looks adorable owing to its angelic color and other physical attributes. The red color ruby stone also possesses metaphysical properties due to its affiliation with the planet Sun. Moreover, nowadays, it is quite in trend and according to a study after diamond, it is the most expensive and popular stone. 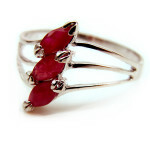 People all over the world love to wear ruby embedded jewelry item for the sake of their appearance and well-being. 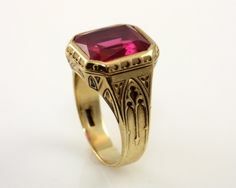 Ruby Wedding ring or bands are compulsory jewelry item to wear during the wedlock. Generally, men tend to wear diamonds, gold rings for this auspicious occasion. 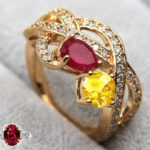 However, if you love to experiment with your accessories, then, you must try exquisite appearing ruby stone wedding band. Alike the ruby stone band or ring, watches are also acceptable to wear in all circumstances. Although, men prefer to wear watches with a plain black leather strap or simple silver timepiece with Roman numerals or metal watches. But, you can also try something innovative and completely out of the box with watches. Do you want to try something different then why not to experiment with your blazer? Replace simple brass button of your blazer with colorful and glittering ruby stone button. Upgrading your blazer with ruby buttons will zing up your mood and make you look more attractive in parties and special occasions. It will also fetch you much-needed attraction from every corner of the world. So, what are you waiting for, buy ruby gemstone and replace it with normal brass buttons and see the difference? Bracelets are a common piece of jewelry which men adore to wear. And, it is one of the most appropriate jewelry items to experiment with. Bracelets are one of the most decorative pieces of jewelry item which men have been kept wearing for thousand years. It used to symbolize the royalty, richness, and nobility in ancient ages. Even nowadays, people enjoy wearing bracelets because it compliments their overall look quite adequately. A red color ruby stone bracelet defines the meaning of bracelets in a true sense and serves the purpose efficiently. So, you must opt to wear ruby embedded bracelets and it is quite in fashion. Even young boys cherish to don bracelets. It is common to see boys at parties, school, colleges, and gyms with bracelets flaunting around their wrists. Ear Stud is hugely popular among the young generation. Boys are crazy after ear studs and they love to wear blingalicious ear stud to decorate themselves. The red color ruby stone will surely look complimentary when it is embedded with ear stud. The glittering and alluring red color of this stone will pep up your mood and uplift your entire outlook. Apart from ear piercing, nowadays, men are also approaching for another piercing such as nose, eyebrow, lips, and tongue. This trend is rapidly increasing and men are keen on experimenting, however, this has not reached mainstream acceptance. But, still, there are places in the world where this kind of ornamentation is normal. And a nose ring and the other ring ruby stone will emerge as a clear choice. Who said that men can’t wear a necklace? They can wear the necklace and have right to try out different with this piece of jewelry items. The silver necklace or gold necklace is quite common to see around the neck of men around the world. However, apart from these customary metals one can try wearing a ruby stone necklace or pendant. 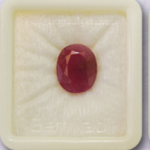 The fascinating red color of this stone will bestow you a completely new avatar. So, don’t waste your time and order a ruby gemstone pendant or necklace to feel amazing. A Brooch is a decorative jewelry item designed to fasten around the garments with a hinged pin. Often this decorative piece of jewelry item is decorated with enamel or with gemstones to make it look more impressive. It is frequent to see men wearing a brooch around their blazer, tie, and shirts. 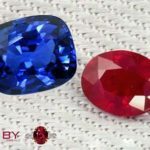 While people wear a brooch made of gold, silver or bronze metal, however, one can try wearing a brooch made of gemstones and other precious metals. Talking about colorful gemstones, it is necessary to mention about a ruby stone. The colorful ruby stone will really look mesmerizing when it is worn in the form of a brooch. So, these are the various ruby gemstones studded jewelry items that a man can wear in his routine life to pep it up. You can also try different ruby studded jewelry items to feel the difference.